Keystone Hall is a non-profit rehabilitation center that provides treatment services to adolescents and adults for substance abuse and alcohol addiction. It was established in 1983 as a small detoxification center in downtown Nashua. By 2012, it had expanded to its current capacity of 60 beds that provides residential as well as outpatient services to 700 individuals and families annually. 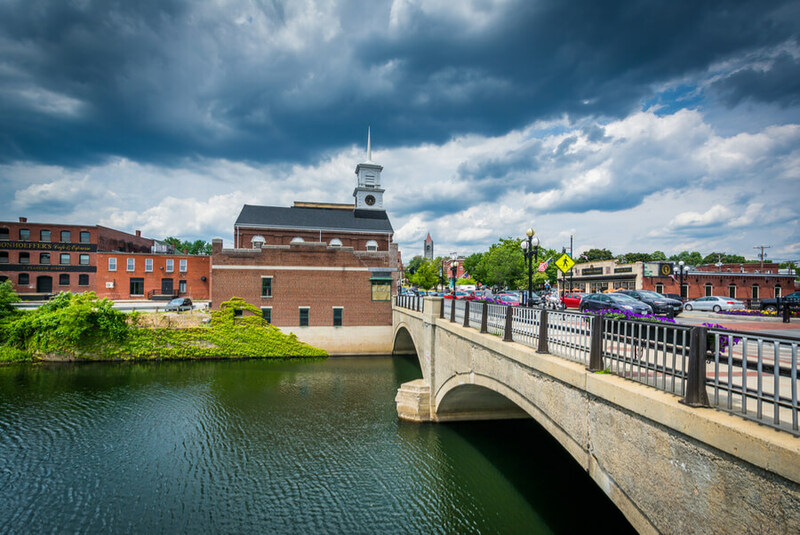 The mission of Keystone Hall is to provide premier treatment services to adult men and women, adolescents, and families for substance abuse as well as provide a strategic framework for the prevention of addiction in New Hampshire. The center offers inpatient and outpatient services to clients for treatment, prevention, and recovery support. The residential program has high-intensity as well as low-intensity levels apart from the intensive outpatient program (IOP). The center offers gender-specific treatment services to individuals and families with sliding scale costs to ensure that anyone in need of treatment is served irrespective of their ability to pay. The treatment programs provide a complete continuum of care which is comprised of a holistic and integrated approach to mental and medical health care. The staff at the center is highly-qualified and experienced to provide evidence-based and psychoeducational services to clients. The center offers services in English and Spanish. Keystone Hall is located just 5 miles from downtown Nashua as a double-story commercial building on an area of 26,000 square feet. The exterior and interiors of the building are simple and homey. Clients stay in separate wings segregated based on gender. The 28-day program can accommodate 22 men and 12 women. The 90-day residential program has a capacity of 12 men and 6 women. All rooms are double-occupancy which are furnished with twin beds, nightstands, and storage space for each client. Two rooms are adjoined by a bathroom shared between residents of both rooms. Communal showers are located at the end of each hall. There are common rooms for male and female clients where they can relax in their free time. The building also comprises meeting rooms, counseling rooms, and therapy rooms. Residents are assigned daily chores including cleaning, personal chores, and laundry. The center has an in-house kitchen staff which prepares healthy meals for clients three times a day. Meals are served in the common cafeteria. Residents are provided with a wide variety of food options including non-vegetarian, vegetarian, vegan, and gluten-free items. At dinner, clients are also served with a salad bar. A number of drinks and beverages are also available including caffeine. Keystone Hall offers quality treatment services to individuals and families for substance abuse and co-occurring behavioral health disorders through individualized treatment plans. The cost of the initial evaluation is $350, group therapy for $72, and residential treatment for $550 per day. Depending on the client’s/family’s income, sliding scale cost is also offered to make treatment affordable for them. Keystone Hall accepts insurance from most insurance companies. The details about all costs and insurances can be acquired from the admissions office during assessment or intake. The staff at the center strives to help clients find the most affordable treatment options. Keystone Hall is a non-profit organization that provides treatment services for substance abuse and dual-diagnosis disorders. The center has helped over 13,000 individuals find hope and healing in life since its foundation. Adolescents over the age of 12 and adults over the age of 18 are treated at the facility in a safe, private, and secure environment. Clients are provided with an integrated approach of holistic treatment which empowers them to break the bonds of addiction. They are able to learn coping skills and life skills needed to live a healthy and happy life. Through evidence-based therapies and treatment modalities, clients are offered physical, emotional, and psychological healing which helps them achieve long-term recovery. A number of innovative and historically-proven therapies are utilized in the treatment process. The center provides aftercare and relapse prevention services to its alumni to help them maintain the recovery they achieved at Keystone Hall. Keystone Hall has been successfully offering comprehensive treatment services to adolescents, adults, and families for substance abuse, alcohol addiction, and psychiatric disorders. The staff at Keystone Hall helps it in achieving its vision of continuing to provide premier and quality services to individuals and families. They offer a complete continuum of care to clients in a compassionate, dignified, and respectful manner. Their services are available 24 hours a day, seven days a week. The staff at the center is categorized into the leadership team, the administrative team, the clinical team, and the support staff. The leadership team is comprised of highly experienced and qualified professionals from the fields of business management, medicine, and behavioral health care. The clinical team comprises three master-level therapists, six Licensed Addiction and Drug Counselors (LADCs), and eight technicians. The team also comprises case managers and clinicians. The administrative team is comprised of the personnel of the admissions office, the finance office, and administration. The support staff helps in the day-to-day functioning of the facility.